Natuzzi is renowned for its Style, quality and Italian Leather. 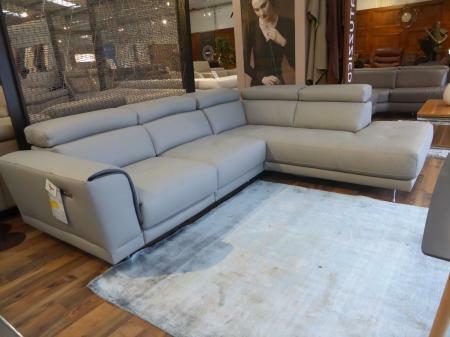 This private label model is brilliant , hand made Italian sofa's made with love and high quality Italian leathers. 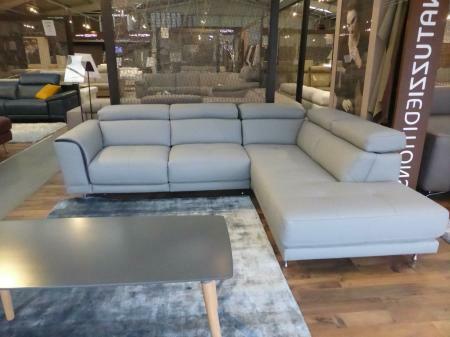 This Model for sale will be brand new packaged with 12 Month warranty. 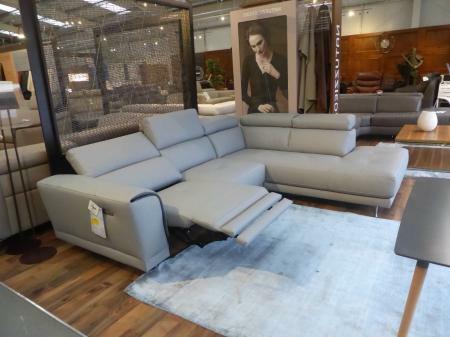 Absolutely stunning to look at with its floating feel Chrome legs and most comfortable with adjustable headrests. 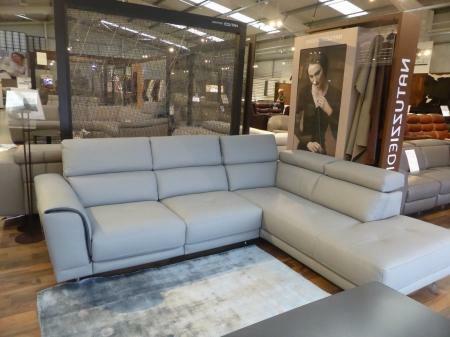 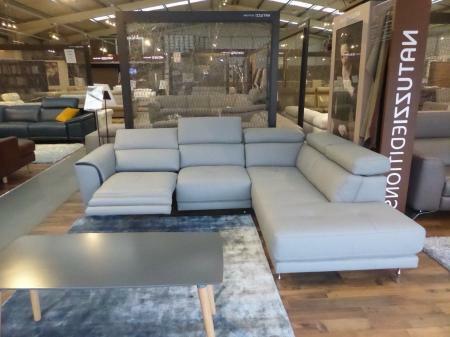 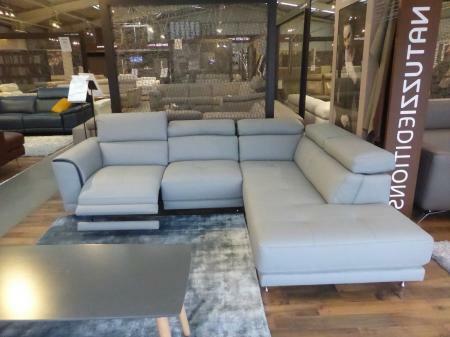 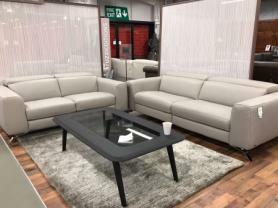 This fully upholstered beautiful sofa by Natuzzi exclusive in beautiful grey family friendly protecta soft leather is a modern and stylish choice for any home living space. 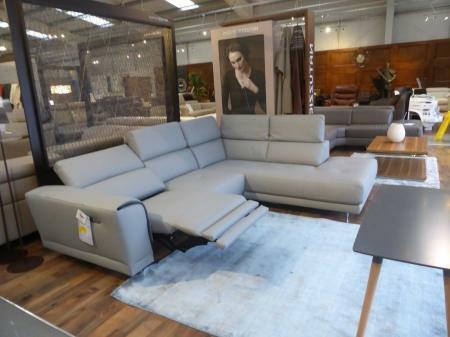 This model featured an electric zero wall recliner on the arm side and adjustable headrests for maximum customisation. 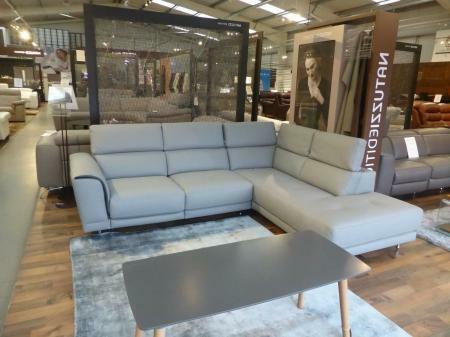 This is an extremely comfortable and stylish corner sofa with a feel thats luxurious that will leave you fully relaxed after a long day.